Making Easter treats for kids is such a joyous experience. With so many possibilities, we chose a simple recipe that appeared to be doable. While it is tricky having a 4 year old in my kitchen, I still love baking with her every now and then simply to see how much SHE enjoys baking and cooking in general. 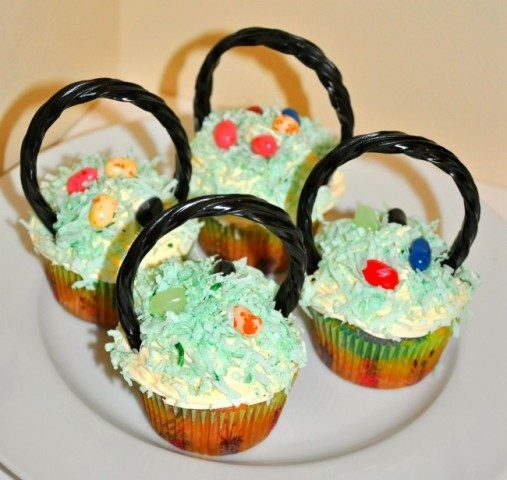 With Easter coming up pretty fast, we made a batch of yummy Easter treats for the kids. Just like all our creations, this one is very simple to whip up. Easy is my motto when it comes to baking with kids. These Easter treats need only a handful of ingredients. I used my trusty cake mix to create a basic batter. 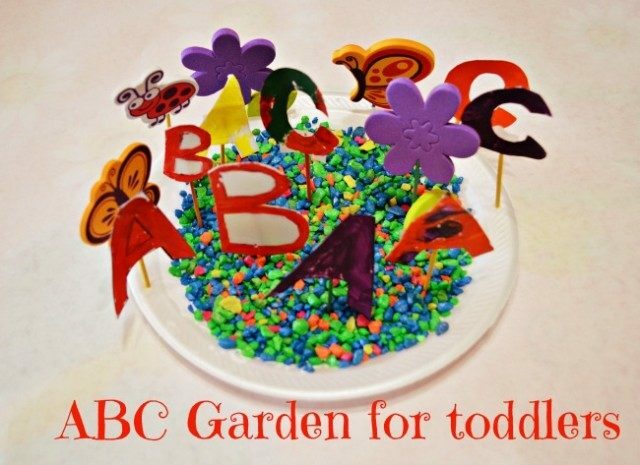 We split the batter into smaller portions in cups and added different food colors to each cup. 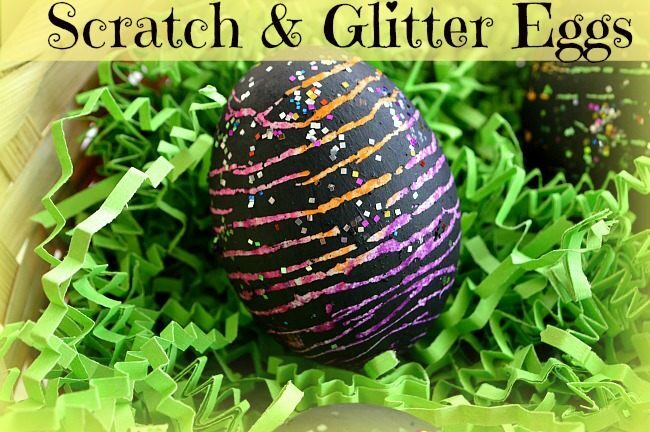 You can stick to typical Easter colors for this Easter treat. 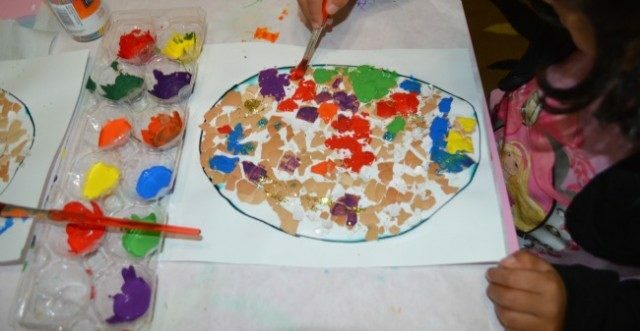 But my kid wanted to do rainbow colors and that’s what we did. 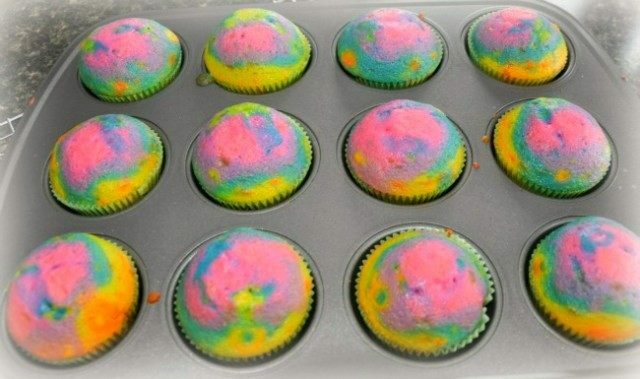 Once we had our colored batter portions, we gently mixed them up into a single batter and baked our cupcakes according to the directions. Once the cooled cupcakes were frosted, we needed “grass” for our Easter Basket cupcakes. I used shredded coconut/coconut flakes mixed with a few drops of green food coloring and a little bit of water. We mixed them all up and got our Easter grass for this Easter treat. We added the grass onto the frosting which acts as glue to hold them up together. Jelly beans for eggs and our Easter treats for kids are ready to go. 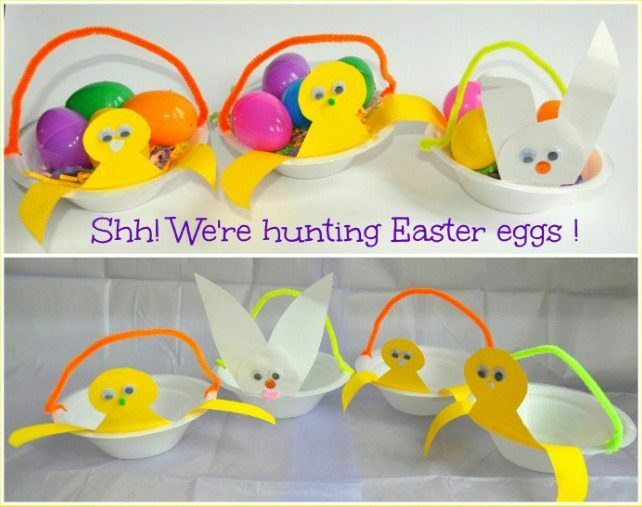 Visit our Easter Category for more ideas we have shared recently. 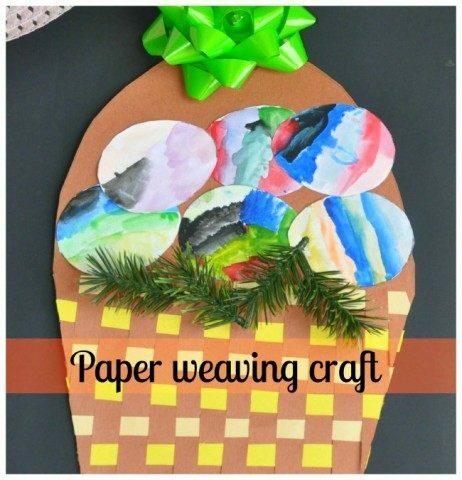 For more ideas for a great Easter craft, visit our Easter Craft Board . 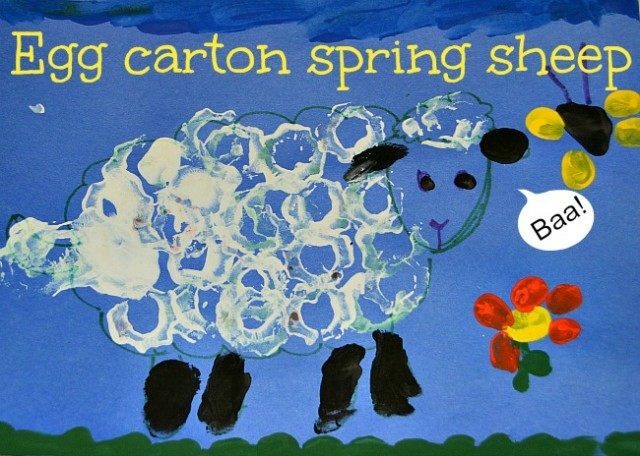 We also have a Spring Activities Board. 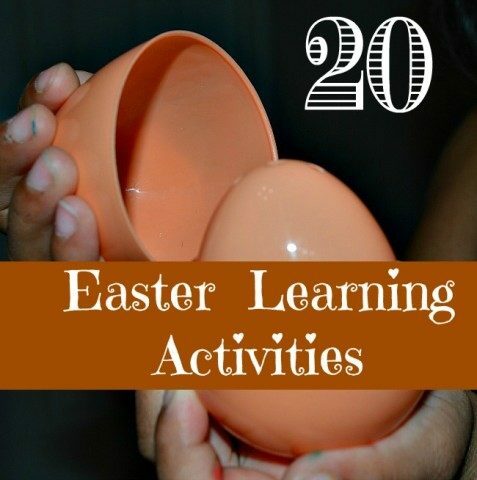 Our Easter Activities board Pinterest has tons of ideas to keep you and you family busy during the holiday. 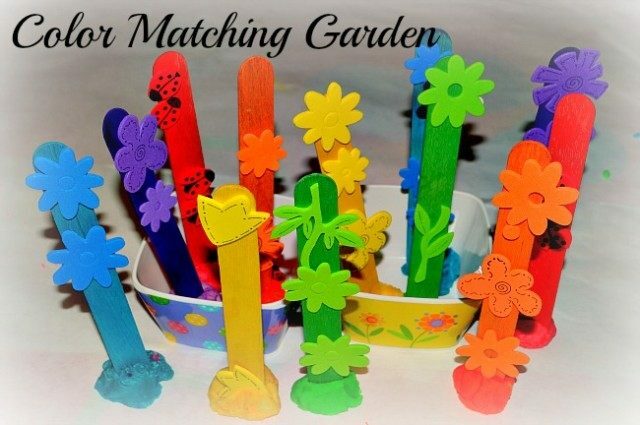 For more spring activities visit our board on Pinterest. I love it!!! Great job !